BEIJING, Aug. 8 (Xinhua) -- China and Panama said Tuesday the two sides will strengthen cooperation on law enforcement to benefit the peoples of the two countries. 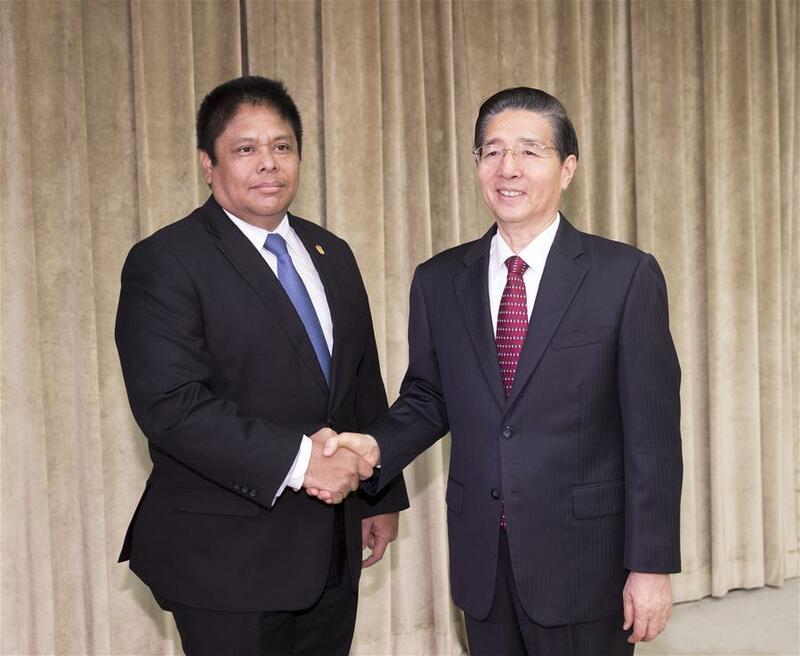 Chinese State Councilor Guo Shengkun and Panama Minister of Public Security Alexis Bethancourt expressed their willingness of cooperation during their meeting on Tuesday. Guo, who is also minister of public security, said that China is willing to cooperate with Panama to facilitate people-to-people exchange, crack down on illegal immigration, protect the legal rights and interests of their respective citizens in each other's country, and cooperate in hunting down fugitives. Bethancourt said Panama will adhere to the one China policy and strengthen cooperation on entry and exit management and cracking down on transnational crimes.